Mikabat sa 8 ka tunghaan sa Department of Education (DepEd)-Division of Negros Oriental ang nakutayan na sa kuryente pinaagi sa School Electrification Program (SEP) sa One Meralco Foundation (OMF). Gipahigayon ang ceremonial turn-over sa Solar Photovoltaic (PV) System, Multimedia Equipment ug sa Energy Education Flash Cards niadtong Agosto 26 sa DepEd Region Vll-Sub Regional Office sa Dumaguete City. Ang 8 ka tunghaang nahatagan sa multi-media package naglakip sa 49-inch LED TV, laptop computer ug print scanner gikan sa “Employees’ Fund for Charity, Inc. (MEFCI) sa Meralco. Ang mga tunghaang bag-ohay lang nga na“energized” mao ang Apo elementary School sa Dauin; Bago-bago Elementary School, Kanggabok Elementary School, Pedro R. Abul Memorial High School ug San Isidro Elementary School sa Sta. Catalina, Salingkubong Elementary School ug Nawacat Elementary School sa Siaton ug Palay Elementary School sa Manjuyod. Sa gihimong ceremonial turn-over, mibutyag si DepEd Secretary Leonor Magtolis Briones nga ang edukasyon dili mo uswag kung walay sugang dagitab ug kuryente ang tunghaan. Adunay ambisyon ang DepEd tumong sa 21st century education skills nga mohatag ug kahigayonan sa mga gradwado sa senior high school nga makapadayon pagtungha sa kolehiyo o manarbaho ba hinoon human mabansay sa science and technology, culture, music ug history. “Kung walay kuryente limitado ang kahibalo nga makab-ot sa estudyante sa iyang pagtungha,” matud ni secretary Briones. Gitumbok usab ni Briones nga ang edukasyon pundasyon ug sumbanan sa ekonomikanhong paglambo ug mahinungdanon ang kuryente aron makab-ot ang kauswagan. Gipasalamatan usab ni Briones ang One Meralco sa suporta niini nga makutayan ug kuryente ang tunghaan sa kabukiran ug sa multi-media package nga gipaambit sa mga empleyado sa Meralco. Samtang si Region Vll Director Juliet Jeruta nagpasalamat usab sa One Meralco Foundation sa ilang proyektong “energization”ug sa mga multi-media equipment nga gipanghatag nila. The Schools Division of Dumaguete City of the Department of Education (DepEd) will host this year’s National Schools Press Conference (NSPC) on February 19 to 23. Dubbed as the Olympics of Campus Journalism, NSPC is set to gather the best student-journalists from the 17 regions all over the Philippines. 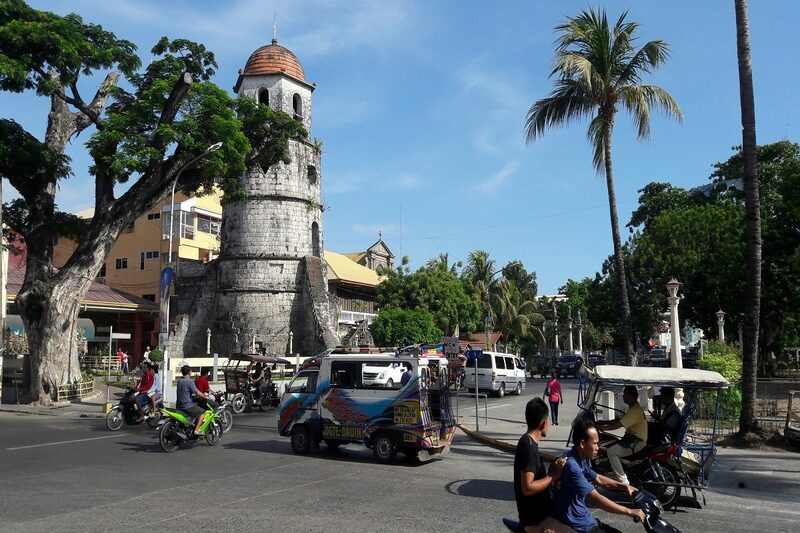 Close to 5,000 campus journalists from the public and private elementary and secondary schools from all over the country are expected to converge at this capital city of Negros Oriental. Association of Southeast Asian Nations or ASEAN Integration aims to build a successful and more united ASEAN that has concrete effects on the lives of individuals. The journalism contest starts with the Division Schools Press Conference (DSPC), where the top three to seven in each category depending on the size of the certain region qualifies to the Regional Schools Press Conference (RSPC), and from which the top three will be chosen to represent their respective regions in the National Schools Press Conference (NSPC). The Campus Journalists will be competing in three categories namely Individual Contests which include News Writing, Feature Writing, Editorial Writing, Science and Technology Writing, Photojournalism, and Editorial Cartooning. School Paper Contests where the campus journalists battle in the different categories: News Section, Features Section, Editorial Section, Science and Technology Section, Sports Section, and Layout and Page Design, and Group Contests: Radio Script Writing and Broadcasting Contest, Collaborative Desktop Publishing (CDP) Contest, and TV Script Writing and Broadcasting Contests (for secondary level). Two contests are for exhibition only, namely, Column Writing which belongs to individual contests, and online publishing contest for secondary under the Group Contests. Expected to grace the annual national writing tilts are Education Secretary Leonor Magtolis Briones, Central Office officials, regional and division officials, and local government officials.